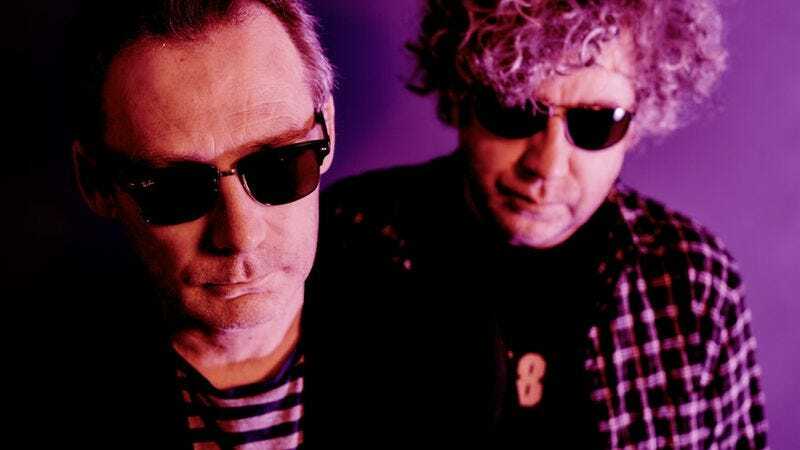 Shoegaze veterans The Jesus And Mary Chain have a new album, Damage And Joy, due March 24, and with it comes a whole new set of dates for the band to stare at their shoes while you stare at them, in between staring at your own shoes. As heralded by the first single, “Amputation,” the group’s first new album since 1998’s Munki sounds like it’s barely skipped a reverbed beat in the meantime, full of the same thick, fuzzy guitars and laid-back vocals that spawned generations of imitators. And as anyone who’s caught the JAMC on one of its many reunion tours since 2007 can tell you, the band still sounds every bit as powerful. After all, distortion pedals don’t age. And here’s “Snakedriver,” just because I think that song is pretty boss.